Desert Mountain Realty has been providing quality real estate service to White Pine County and all of Eastern Nevada for over 35 years. As a family owned business, with all of our agents from White Pine County, we love what our rural area has to offer and take pride in providing our clients and community with professional friendly service catered to your personal needs. We specialize in residential, vacant land, farms & ranches, commercial and industrial property and business opportunities as well as recreational and mountain property. Desert Mountain Realty was incorporated in the State of Nevada in 1980 and is a member of the National Association of Realtors and the Las Vegas Multiple Listing Service. If you are looking to buy or sell property, the Desert Mountain Realty Team is ready to assist you with all of your real estate needs. We have 4 licensed agents with over 95 years of combined experience in our local market making us the most knowledgeable Brokerage in our area. Kenna is a White Pine County native, born and raised in Lund Nevada. 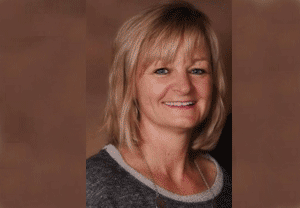 Her and her husband BJ, are both business owners in the community where she is actively involved, serving on several boards and still coaches at the high school where their 3 children attended. 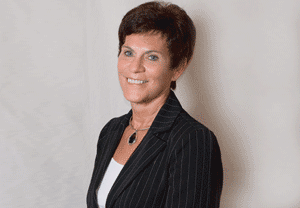 Kenna has been licensed since 2002 and has been the owner of Desert Mountain Realty since 2009. Vivian Almberg, Broker/Sales Associate, was the first agent to hang her license at Desert Mountain Realty when the doors opened in 1980 and has been here ever since. Vivian is also a native of White Pine County, she was born and raised in Ely, where she and her husband enjoyed raising their 4 children. Sonja Almberg, Sales Associate, received her real estate license in 2008. Sonja is also from Ely where she resides with her husband and 2 children. Her roots and ties to the community provide a wealth of information to help you with all of your real estate needs.